With a highly durable pig grain leather construction and highly protective reinforced fingertips, the Portwest Tergsus Leather Blue Gloves A250BL offer excellent mechanical protection in light industrial applications. Furthermore they are ideal for extended use, with an inner cotton liner that provides comfort and a hook and loop fastening that guarantees a safe and secure fit. 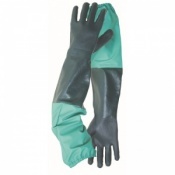 Secure and breathable, the Tergsus Leather Blue Gloves are well suited to industries that demand light and comfortable mechanical protection. This includes use in applications such as building, driving, maintenance and rigging, where their reinforced fingertips protect the user, and the comfortable design ensures easy extended use. 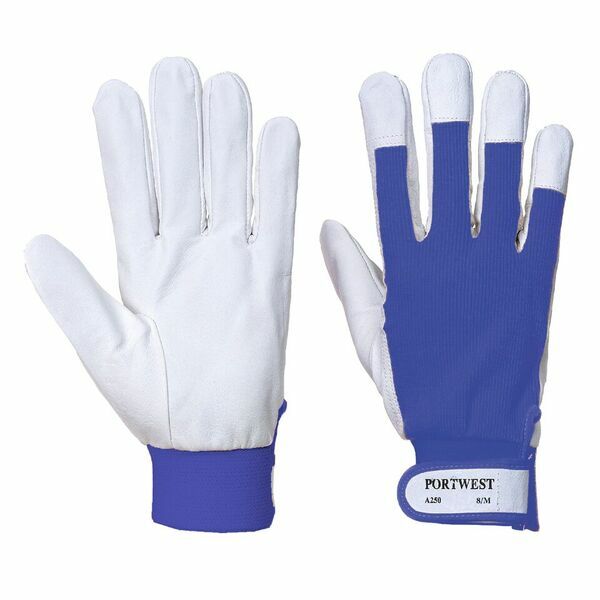 The Portwest Gloves A250BL are available in one size (size 8), however are available in a range of different sizes on our website. Please measure the circumference and length of your palm and match the results to the table below.